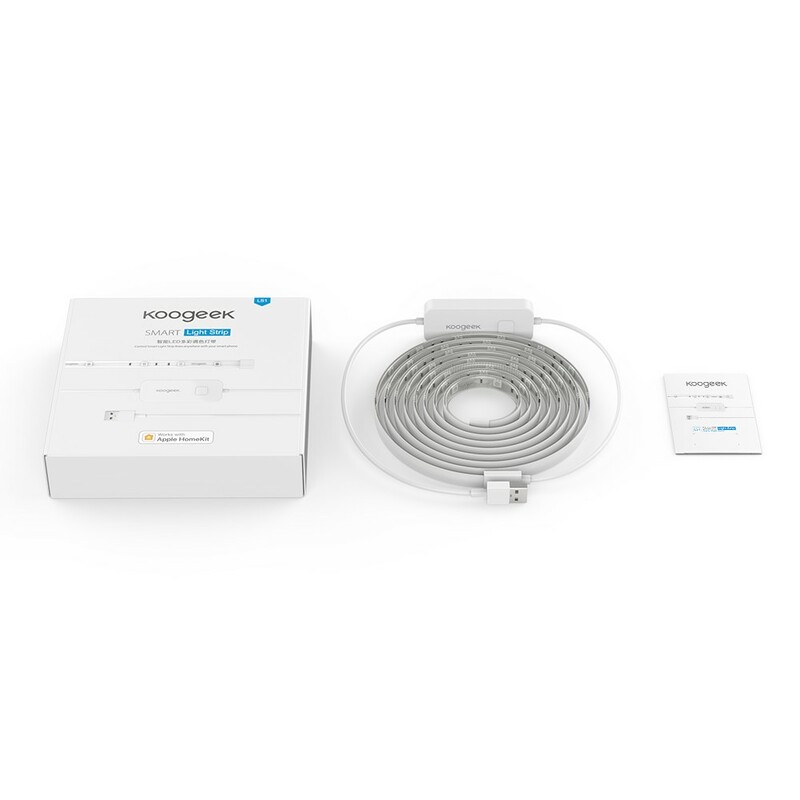 Q Does the lightstrip also work with Amazon Alexa? A Yes, it can work with Amazon Alxa. Since I have a lot of negative comments, I decided to write one. This product is suitable for me. I just installed the app on my Android smartphone and added the device. Then I activated the skills in the Alexa app and added the device to Smart Home. There is no problem with the driver. 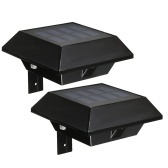 I use: dimming, discoloration, on/off. If there are more features I don't know. 3 of the most reliable jobs, no problem. I am attaching a small video. The attenuation in the video is not perfect, but the effect is very good. 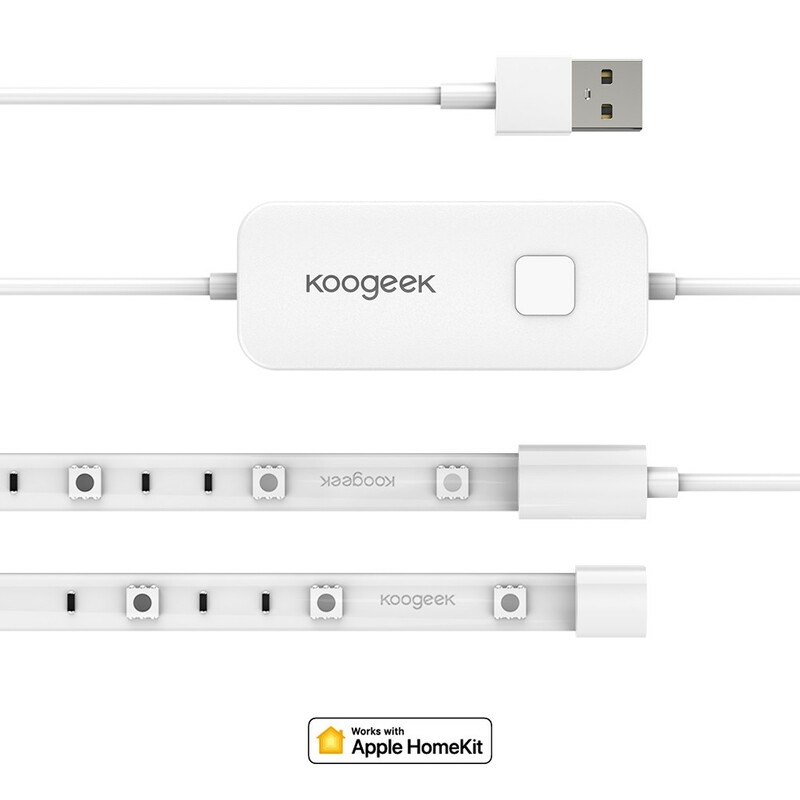 For a long time, I plan to automate my apartment with Apple Homekit equipment. Because I once thought about illuminating my bed with LED strips, for example, there is a night light instead of an LED strip with an infrared remote control, I might prefer the LED strip with control SmartHome because they are enough . Their product industry has become relatively cheap, and your phone may have more practice, such as the remote control for this product. 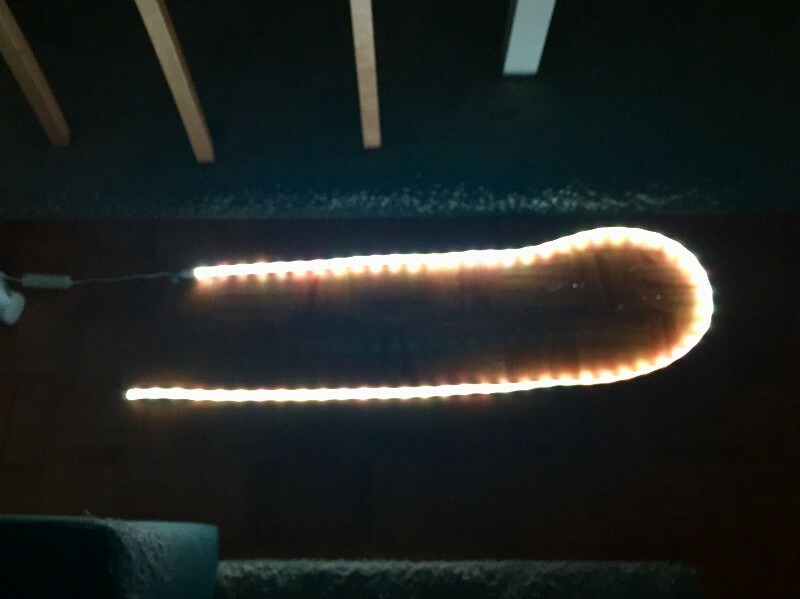 I took this LED strip from this manufacturer. First, I checked if I could successfully connect my home kit via the iPhone. 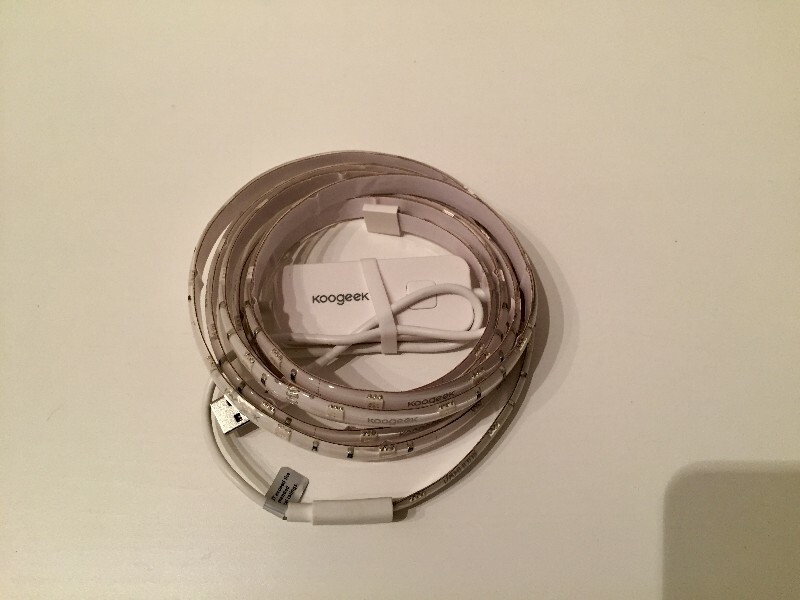 This is connected to the test original iPhone charger and a two-stage intermediate USB wall socket with an output current of up to 2.1 amps. Equipped and connected to the selected WLAN, I placed it on the bottom of my bed with a transparent tesa tape, because the strips rose better, I don't have to use pre-integrated tape. However, this seems very good. 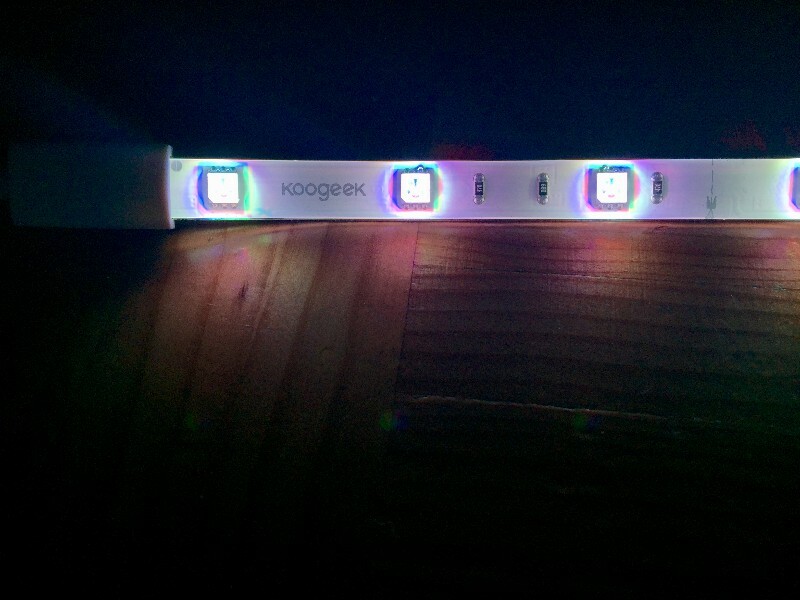 The LED strip is now functioning well, it has only a short reaction time until the signal is sent from the device to the strip and no connections are discarded. The color choice is very large, I think the brightness is enough, compared to other Top Shopkeeper, but a bit dark. 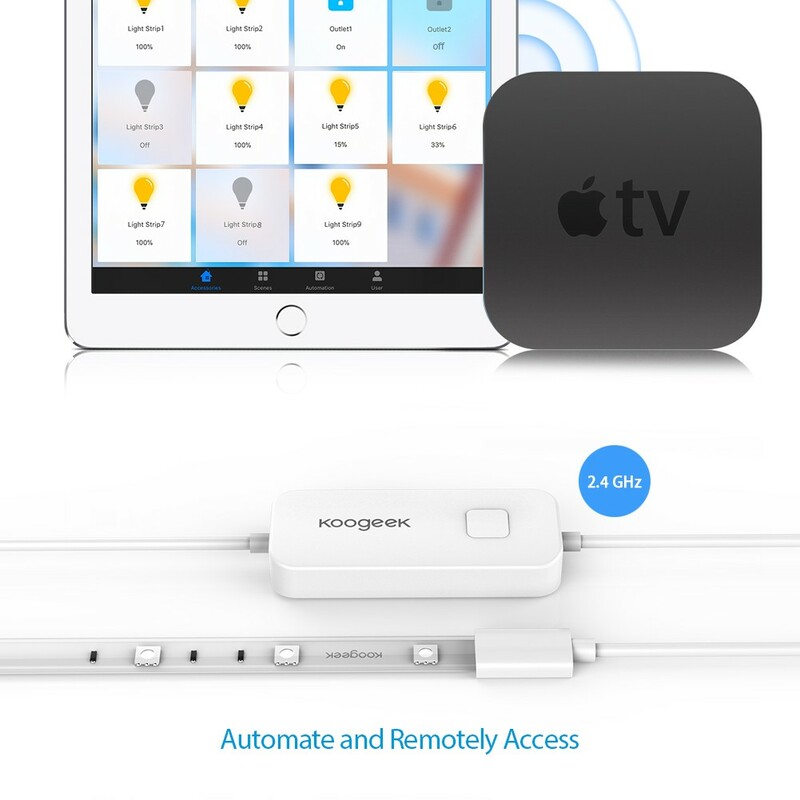 The configuration and use of the device is very simple, and the complete product also meets my requirements. Therefore, I forgive the five stars! Ultra-light band, low price. 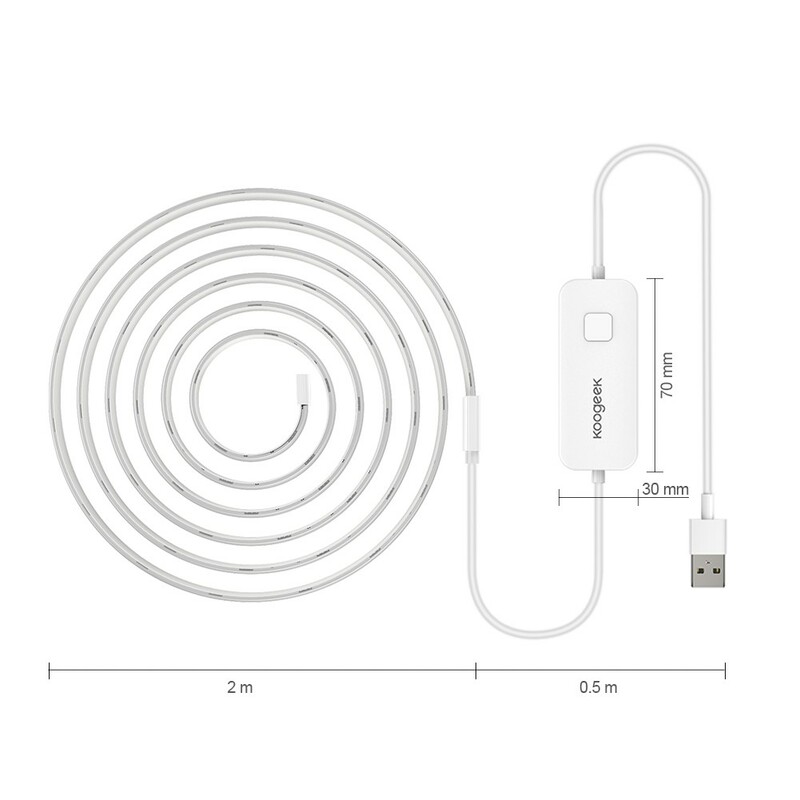 (28 euros with code) Unfortunately, the connection cable is too short (and has been criticized many times here). The controls that use HomeKit in iOS 12 work fine. Unfortunately, custom colors cannot be saved. 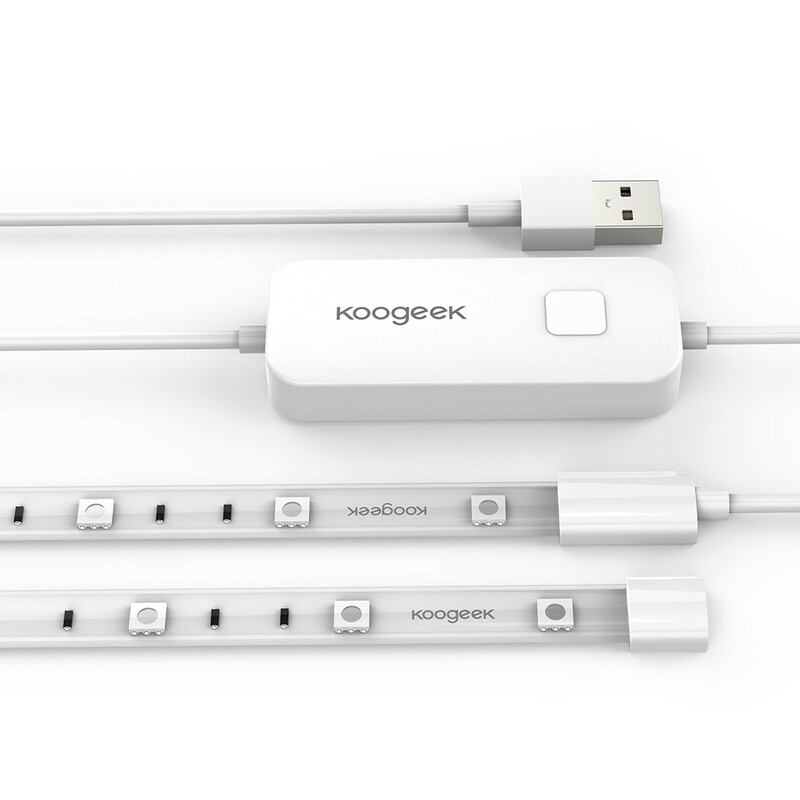 PRO: Open/close simple configuration 2m long on/off transition (closed and open): Very short connecting cable feels a little sticky between the connecting cable and the strip (with plug) Fix it in the cabinet so that The plug will not fall off every time the drawer moves. The translations in the application and manual are terrible. Configure a quick scan of the iPhone. Code and add devices. 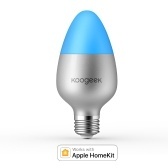 After that, you can use it directly via Siri (providing a simple name) or through the Homekit or Koogeek app. Alexa and Google Home are also configured. The reaction and color change at the time of opening and closing are fixed. The only downside: it lacks Netzteil USB. If I get 1 watt from the iPhone, I don't need it. Otherwise, any other USB port will work. Two important tips: Put your iPhone in a search close to the bar. It seems that it can be achieved through NFC and it should not be far away. If the colors are not correct or some colors do not appear (for example, green, although Siri announced), then just connect the holiday connection. Wow, this is easy, I have already blinked. Everything is great. 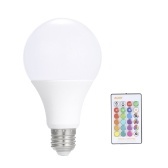 If you can really compare the light of this price with Hue, it is definitely debatable. At least, you have to be clear that you are not getting anything at the same level here. The integration in Apple Homekit didn't encounter any problems here, unlike part of NoName, just like that. I deleted a star because there is a significant difference in the interpretation of the system color in the mixed use of Hue and Kogeek. The hue red is very rich in red, while Kogeek tends to be orange. 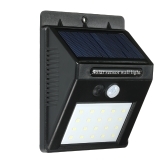 All people who don't care provide a cheap Lighttraip of 2 meters, which is not as convenient as Philips products. 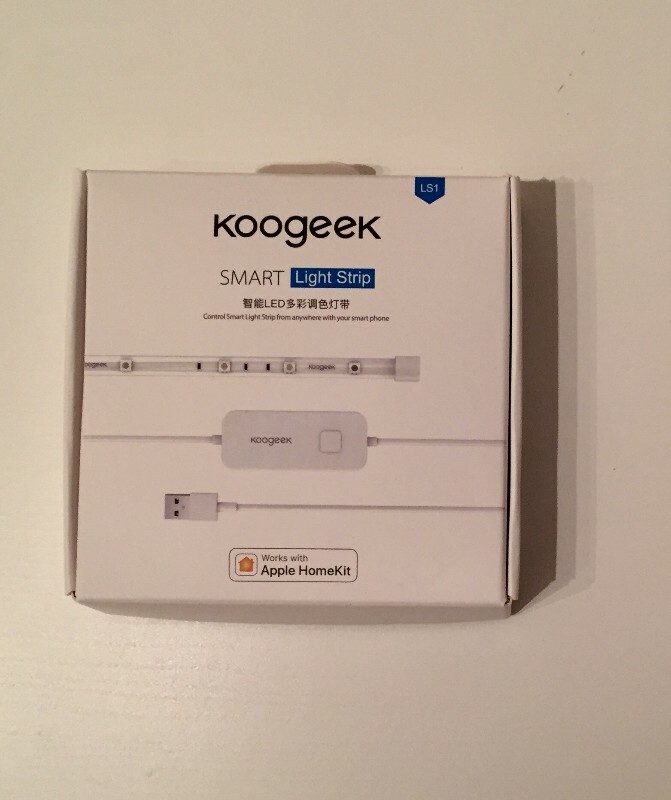 It is definitely recommended to use LED strips, despite the USB connection, rich and bright colors, a wait is almost no :) However, the app is a little eager to get information and want a microphone, location, contacts and multiple knowledge. ..
A good choice for Hue. The downside is that there is no power. Yet the affordable light strip for homekit. The price reflects the quality, I wouldn't expect this to be a top notch light strip. The only issue I've found is difference between one and another when using the white color. Other than that, it's very responsive and only few down times. Shipping is free and pretty fast! 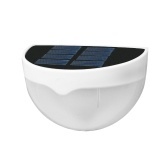 Great communication, fast responses and shipping. Thank you. 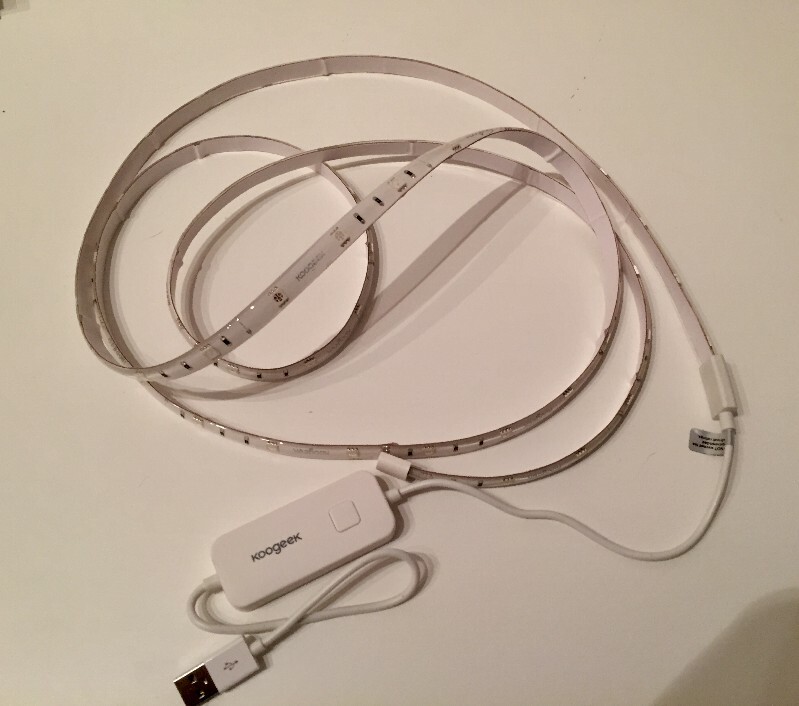 Good light strip, works as described and pairs with homekit without any problems. The only flaw I’ve noticed so far is that it doesn’t dim very well on some colors, for example if I set color to light blue and try to dim to 50% it will actually change color to yelowish instead of dimming. However, maybe it’s just my particular strip which has this issue.